GATE exam – The Graduate Aptitude Test in Engineering (GATE) is an examination that primarily tests the comprehensive understanding of various undergraduate subjects in engineering and science. GATE 2019 will be conducted on 24 subjects (papers). The score is used for admissions to various engineering post-graduation programs in IISc, IITs, NITs, IIITs, and various foreign institutes. The Score is also being used by several Indian public sector undertakings (PSUs) for recruiting graduate engineers in entry-level positions. 3 Years: in IISc, IITs, NITs, and IIITs etc. 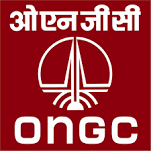 Public Sector Undertaking (PSUs), like IOCL BHEL, NTPC, BPCL, CEL are Indian Government owned corporation/company and Government have more than 51% share. For the application of PSU job, you require strong, in-depth technical knowledge and understanding of core engineering Principals for PSU Jobs. GATE exam is fit in these tests. By conducting their own test examinations. By short listing candidates on the basis of their GATE scores. By recruiting candidates from the premier (e.g., IIT, IIM etc.) institutes in the country. For long, PSUs have had troubles conducting their recruitment processes with a selection rate of less than 1% from more than 100000 candidates. To solve this, after 2012, the PSUs have decided that a GATE score shall be the primary criteria for initial shortlisting. Indian Oil Corporation (IOCL) was the first PSU which successfully tested out this system then two years later by National Thermal Power Corporation (NTPC), and other PSUs. All these PSUs would shortlist candidates based on GATE scores and then the process is followed by GD and Interview for assessment of different facets of knowledge. Other than the valid GATE score in the relevant GATE paper, PSUs may specify other eligibility criteria like the pass percentage/CGPA obtained during graduation, age limit, medical certificate to signify fitness. Only Indian citizons are eligible for PSU recruitment through GATE. There are many companies which have signed Memorandums of Understanding (MoUs) with the GATE organizing committee, for using GATE score as a screening tool for recruiting engineers at entry level positions. You will enjoy job security like any other government employee. You will get a higher salary of government job at the same level. Your promotion will be assured irrespective of your performance. There are many allowances as per your post in PSU such travel expenses medical facilities are covered etc. There are different other monetary benefits of working at a PSU, such performance based incentives, retirement benefits, easy to get loans, etc. 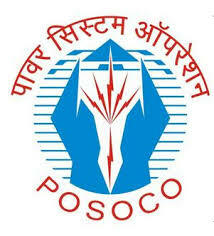 Note – In the past years, many PSUs had recruited through the GATE. These and many more PSUs will be recruiting through the GATE 2019. Please keep visiting this page for more updates.